Hitman 2 was one of 2018 most pleasant surprises, no doubt, a great sequel to what arguably was 2016’s Game of the Year. 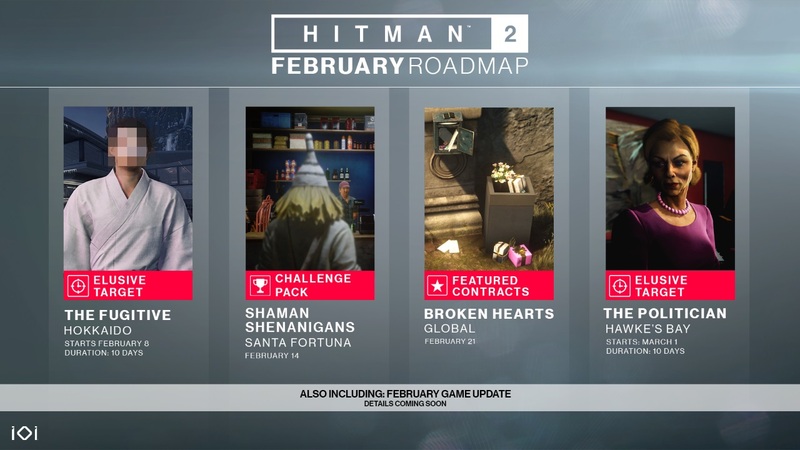 And as was the case with Hitman 2016, developer IO Interactive has kept releasing new content for the game since its launch last November, and has now revealed the new content Hitman 2 players can expect this February. Amongst other things, IO is preparing a new patch for the game. This February update will ship sometime during the month, bringing quality of life improvements and bug fixes to the game. Also, and as you might expect if you’ve been playing Hitman 2 for a while now, new Elusive Targets are coming to the game this month. For starters, “The Fugitive” will be arriving at Hokkaido on February 8th. Hokkaido was the setting of one of the campaign missions of the 2016 game, which is also playable through Hitman 2 via the Legacy Pack. This is the first Legacy target to feature in Hitman 2, and it’s likely we’ll see more Elusive Targets from the 2016 game in Hitman 2 in the months to come. Another Elusive Target (“The Politician”) will also be playable in the game on March 1, and will be available for 10 days like other Elusive Targets before it. You’ll get to hunt down the politician in Hawke’s Bay, which as you might remember was the setting of the game’s tutorial mission. Danish outfit IO also revealed that another challenge pack will be available in the game on February 14. These new challenges are set in the game’s Santa Fortuna location, and require you to wear the shaman disguise. Your prize will be the mysterious “shaman powder”, which can be used to knock out all enemies in a given area. 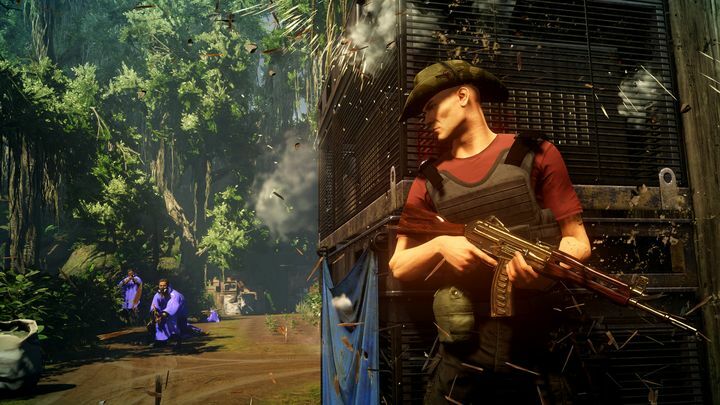 And it certainly looks like this extra content could keep Hitman 2 players busy for a while, at least until the new missions and locations from the game’s season pass are released later this year.